Here we discuss the benefits of expungement and point out some of the standards that apply to an expungement. This article was published in the Summer 2015 edition of The Champion. Expungement is the process of removing all records concerning an arrest and charge from public access after being charged, but then having the charge dismissed (other than deferred disposition dismissals). 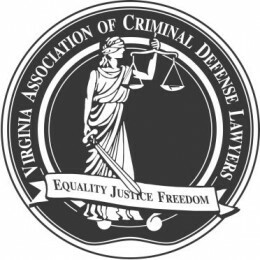 It includes clearing the court’s files, the Virginia Criminal Information Network (a.k.a. Virginia criminal history), records from the National Crime Information Center (a.k.a. federal criminal history), and any other agencies that may hold records of the charge and/or arrest. Code § 19.2-392.2(J) and (K). Beyond the benefit of wiping clean Virginia and federal background checks of any information about the offense, the expungement also gives the petitioner the right to treat the offense as if it never occurred. The practical effect of this is that it prevents employers, educational institutions, and state agencies or officials from requiring the petitioner to disclose any information concerning the arrest or charge after expungement. Code § 19.2- 392.4(A) and (B). And, if anyone obtains information without court order, which in itself is difficult to obtain, they can be prosecuted for a class 1 misdemeanor. Code § 19.2-392.3. Expungement is not a complicated area most of the time, but it is full of ambiguity. The keys to expungement are determining eligibility and the standard that will apply to a particular petitioner’s case. The Virginia Supreme Court has drawn a very clear line as to who is eligible for expungement. Anyone who has been convicted of an offense, had a finding of facts sufficient to convict, or has entered a plea of guilty (even if deferred to be dismissed later), nolo contendre, or submitted an Alford plea cannot seek expungement. Anyone who has been acquitted, has had a charge nolle prossed, or has not entered a plea of any sort and has the charge dismissed after fulfilling conditions can seek expungement. There are two potential standards that may apply to any expungement. One standard is that the prosecution must prove good cause for why an expungement should not be granted. This favorable standard only applies to petitioners who have never been convicted of any offenses and the charge(s) are only misdemeanors. In most juris- dictions the Commonwealth will not oppose these requests, and there is almost no chance that the request will be denied. The second standard is less favorable to petitioners and requires the petitioner to establish “manifest injustice” as to the maintenance of the record. The manifest injustice that needs to be established is the maintenance of the dismissed charge despite any existing record of the petitioner or the nature and circumstances surrounding the offense. This standard applies to any petitioner who has been previously convicted of any offense at any time, or to any petitioner seeking to remove a felony charge, regardless of their existing record. Perhaps obviously, the worse someone’s record and the more minor the charge, the more difficult it is to establish manifest injustice. However, what constitutes a manifest injustice is completely ambiguous and is left to the discretion of the trial court. Common areas trial courts find persuasive for establishing manifest injustice include difficulty finding employment, potential negative consequences as a result of the charge remaining on the petitioner’s record, difficulty finding a residence, and similar avenues. Other areas to explore also include interpersonal relationships and stigmatization of the petitioner. It should be noted that “actual” manifest injustice doesn’t have to be established; it’s enough to show that the record “may cause circumstances which constitute a manifest injustice.” Code § 19.2-392.2. One very interesting area that is still being developed following the decision in Dressner v. Commonwealth, 285 Va. 1 (2013) is what can be expunged when a conviction is obtained for an offense that is not a lesser included of what is charged. Following Dressner it is clear that a conviction of an offense that is not a lesser included may be expunged, but the higher standard applies. Every attorney should inform a client that expungement is not automatic for adults (it is for juveniles and different rules apply to juvenile expungements – see Code § 16.1-306). Furthermore, clients should be informed of all the benefits of expungement to ensure they make informed decisions about whether or not expungement should be pursued. Only in the rarest of circumstances should expungement be ignored, as it provides many significant benefits, especially to individuals who have, or are applying for, security clearances, applying for jobs, schools, or renting/leasing property. Clients should be warned that each court has different procedures, and if a client has multiple charges across multiple jurisdictions, they have to expunge each charge in the respective circuit court for that jurisdiction. Additionally, each jurisdiction has different requirements of when hearings should be scheduled. However, this may be changing soon if Senate Bill 908 takes effect on July 1, 2015. Many jurisdictions have packets online for what needs to be done to successfully file and receive expungement. Fairfax County and Arlington County have excellent packets for pro se petitioners. They give great step-by-step guidance and are also useful tools for practitioners who are unfamiliar with the process. In conclusion, expungement is important and should be pursued in every case. It gives petitioners a lot of benefits. Furthermore, there is of- ten clamoring for expansion of this area to cases where deferred dispositions following a plea or finding of facts sufficient has occurred. Thus, change is always in the air, but currently it is limited to the situations described above. This article was published in the Summer 2015 edition of The Champion, Virginia Association of Criminal Defense Lawyers.